Koningsdag, or King’s Day, is one of the most important dates in the Dutch calendar. The birthday of the King of Netherlands is a national holiday and is celebrated country-wide with events, festivals and street parties. The capital is a great place to join the biggest street party of the year and I decided to join the festivities myself this April. So, grab something orange and check out these tips for celebrating King’s Day in Amsterdam like a local! 1. Get the date right! This might sound super obvious but there is nothing worse than getting the date of the celebrations wrong! Until 2013, the Dutch celebrated Koninginnedag or Queen’s Day on 30th April before Queen Beatrix stepped down and was succeeded by her son, Willem-Alexander. 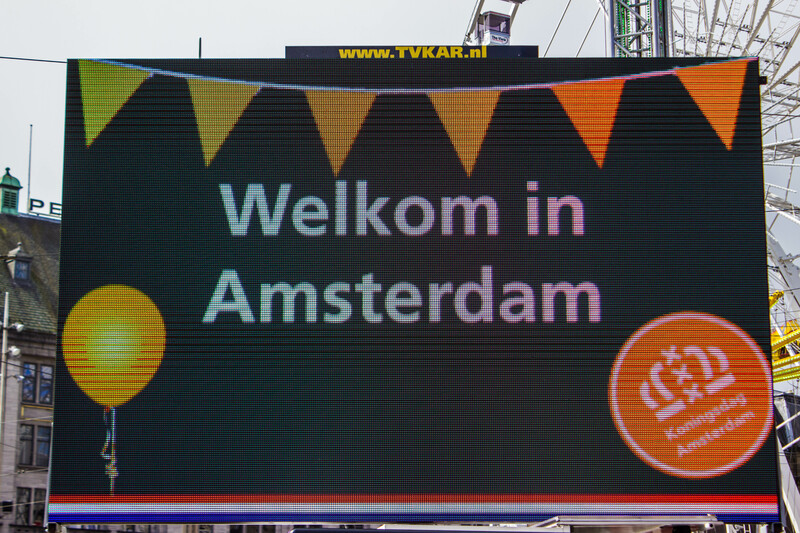 Since 2014, the celebrations for Koningsdag (King’s Day) have taken place three days earlier, on the 27th, however some hotels in Amsterdam still report an increase in bookings for the 30th! Don’t be one of those and check your dates! While Koningsdag is undoubtedly the main event, the celebrations start the night before as the Dutch celebrate King’s Night with many places around Amsterdam and The Netherlands holding parties, events and outdoor concerts. There is already a party atmosphere in the air and the beer is flowing freely as people head out after work. 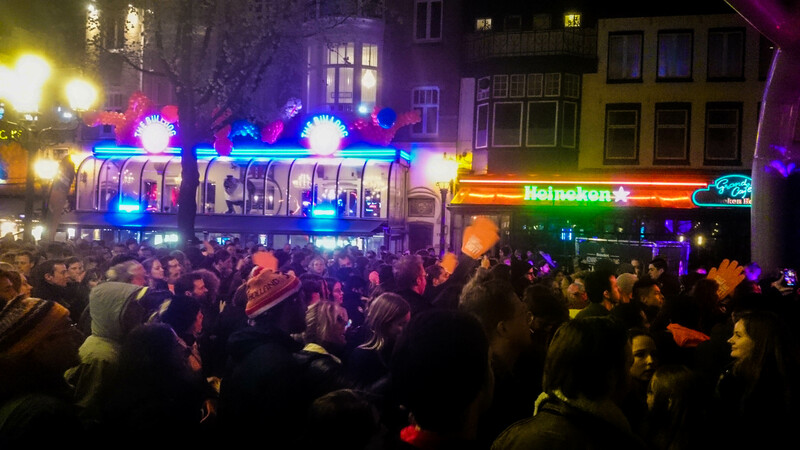 As King’s Day is a national holiday, parties go on late into the night before resuming the next day. 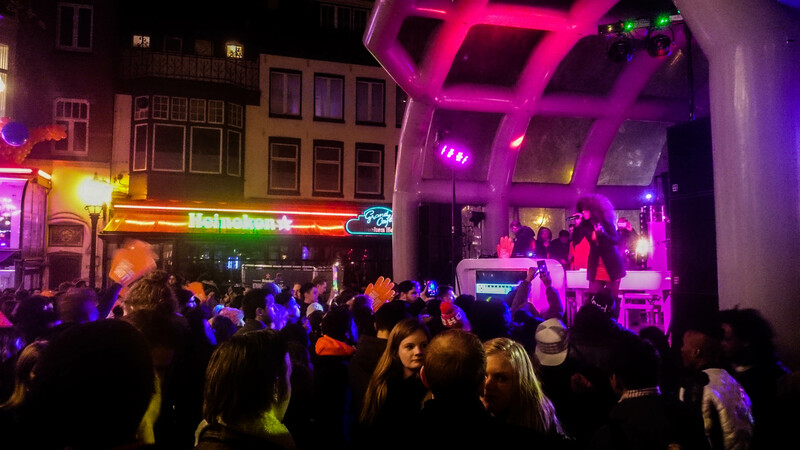 We danced the night away at Leidseplein square which hosted a free open-air concert with plenty of food and drink options nearby. Unsurprisingly, accommodation gets booked up in advance and prices jump the closer it gets to the day. We booked our hostel back in November last year so got a pretty decent deal (around €150 for a private room for 4 at Hotel Van Gogh) however expect to pay around €40 a night for a bed in a dorm. Some places will also impose minimum stays during the period so factor that in when you book. 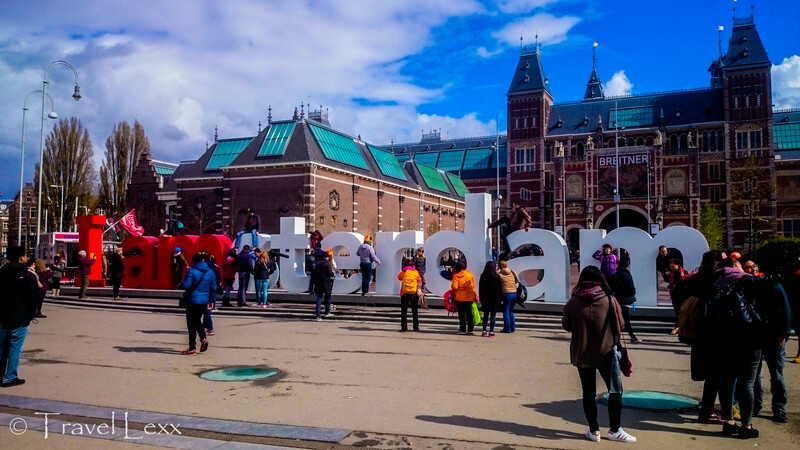 Fortunately, there is plenty to see and do in Amsterdam and beyond so stay for a few extra days and explore! Flights from the UK are well-priced depending on the dates so try and avoid flying in and out on the weekend if you can (see EasyJet for more info). Alternatively, Eurolines have very good offers on coaches to/from the UK and the rest of Europe. 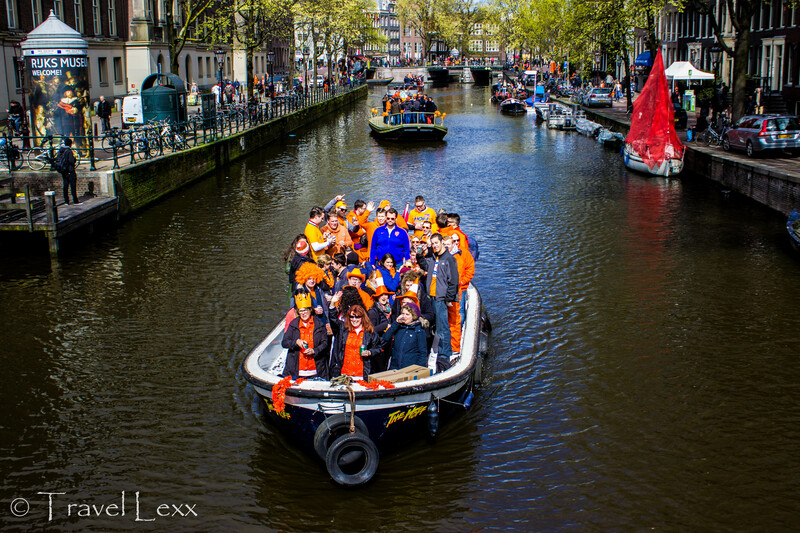 Orange is the colour of the Netherlands and the one you will see absolutely everywhere throughout King’s Day in Amsterdam. Shop and restaurant windows are covered in balloons and bunting and people sport orange shirts, wigs and sunglasses. Many places will sell clothes and accessories on the day but they will be significantly overpriced so try and bring your own. Don’t worry if it’s not Dutch themed – anything orange will do the trick! 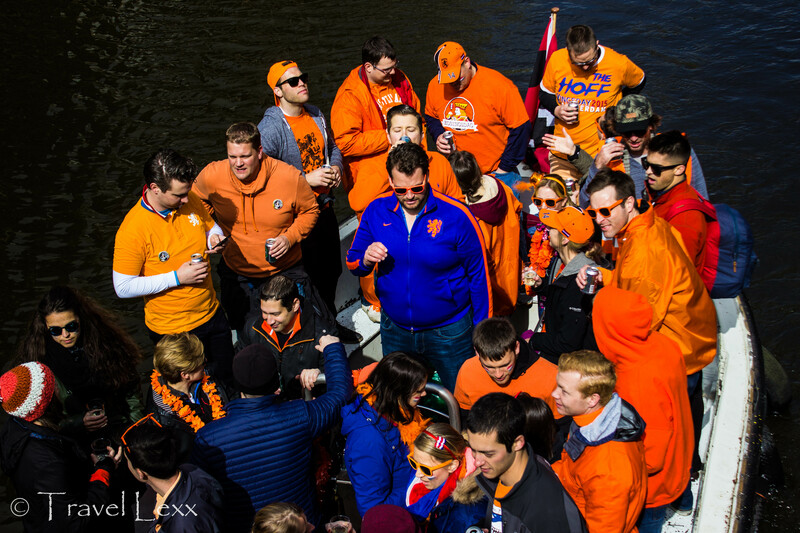 One of the ways to spend Kings Day is to join a party held on one of the boats that traverses the canals in Amsterdam. Boats and barges get filled with locals and tourists alike as they take part in the festivities. Music plays from the on-board speakers as crowds gather on the bridges and banks of the canal to watch the action on the waterways. Tickets can be expensive but often include soft drinks and even alcohol in the price. 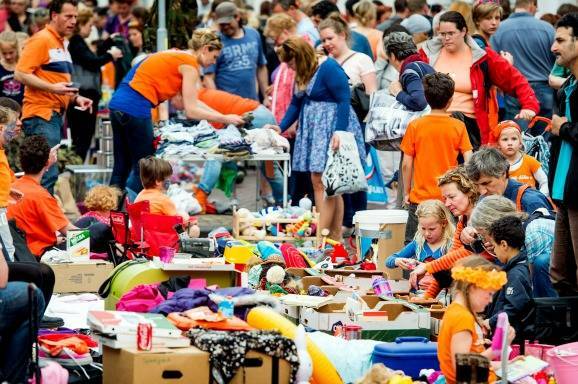 A King’s Day tradition, the vrijmarkt sees Amsterdammers sell their possessions in locations all around the city. Clothes, vintage goods, gadgets and toys are just some of the things you can buy and the city’s pavements and parks turn into temporary shops as residents mark their territory with tape. Haggling is very much part of the tradition and there can be some great bargains to be found. Many areas will also have food stalls so you don’t have to shop on an empty stomach! Some of Amsterdam’s bigger events including concerts and DJ-led parties take place outside of the city centre. They generally require tickets to be purchased in advance (they go on sale around two months in advance) but are a good opportunity to see some big names (at least if you like dance and techno music). See here for a list of events that took place in 2016 and keep an eye out for what’s happening in 2017! 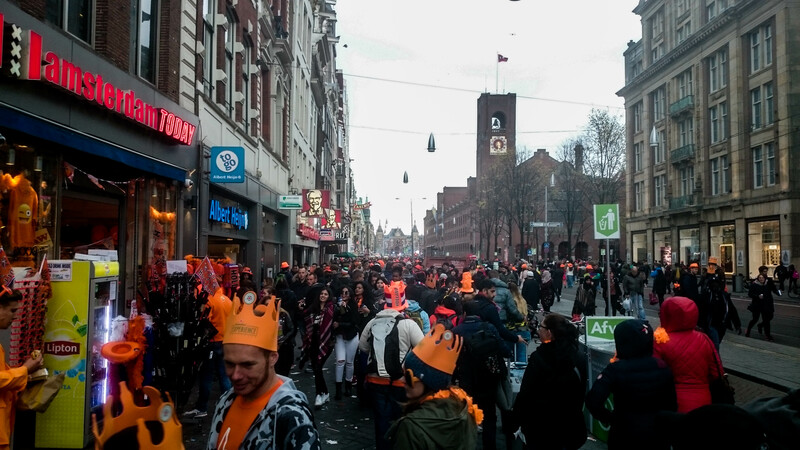 The atmosphere during King’s Day is fantastic – people partying in the streets, beer flowing freely and everyone wearing orange. 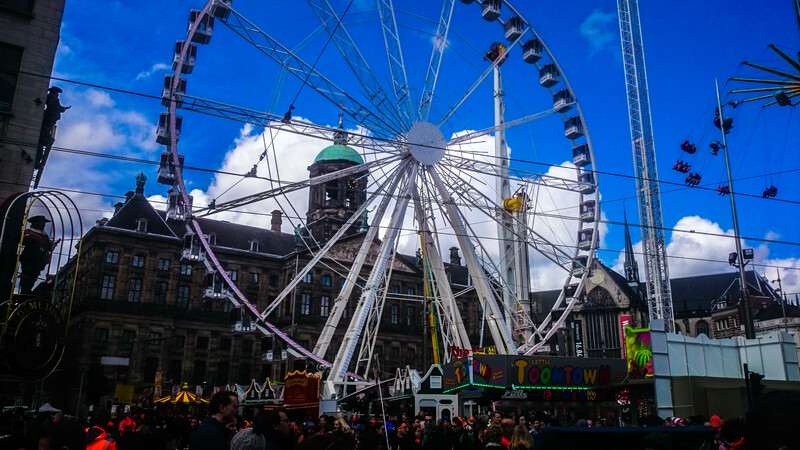 There is no shortage of things to do from people watching to going on fairground rides in Dam Square to snacking on delicious stroopwafels. I spent the day in the company of great friends drinking, eating and having an amazing time. For anyone thinking of going to Amsterdam, I would definitely recommend making sure your visit coincides with King’s Day. See you in 2017! Have you been to Amsterdam/Netherlands during King’s Day? What was your experience like? Let me know! 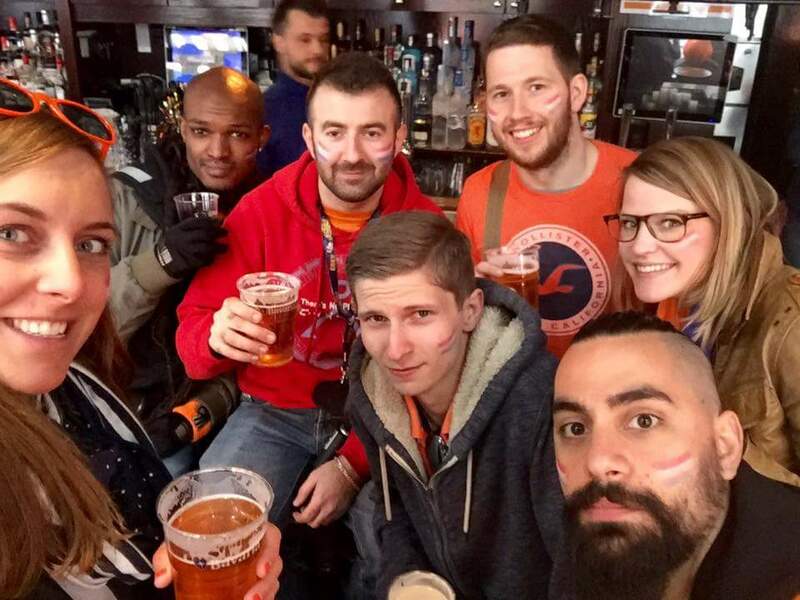 This entry was posted in Netherlands and tagged amsterdam, celebration, holland, king's day, koningsdag, orange, travel, wanderlust.